For the past two years Black Mirror has won the Emmy for Outstanding TV Movie first for San Junipero and then for USS Callister. The top wins for Black Mirror remain the only main program wins for Netflix and the series deserves a lot of credit. In the past couple of years the British anthology show has revived the TV movie the same way that American Horror Story did for the miniseries. Now episodic anthologies are the most buzzed about projects in the genre. Now in addition to Black Mirror, there will be several episodic anthologies vying for a nomination. 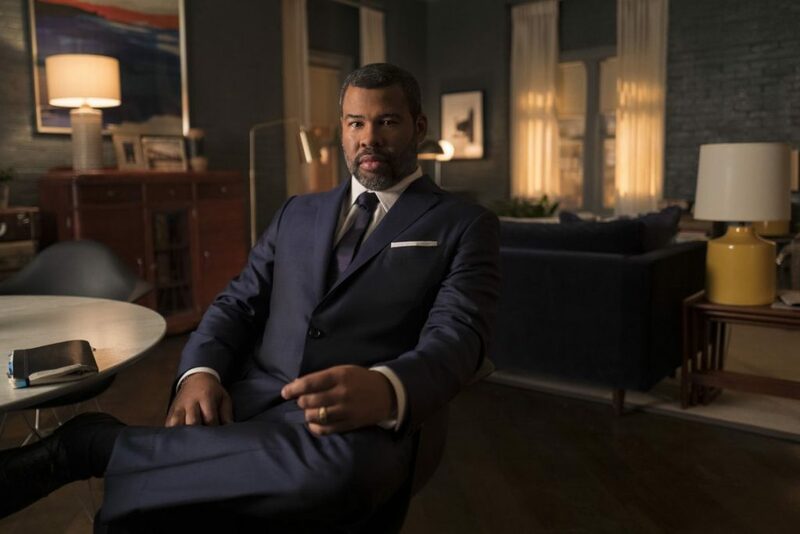 Jordan Peele has revived The Twilight Zone for CBS All Access. Matthew Weiner has made his return to television with The Romanoffs. So for the first time the revived episodic anthology has the potential to take over the Emmy race. For the third year in a row Black Mirror is the early frontrunner heading into the Emmys. At the end of 2019 Netflix released the single episode special Black Mirror: Bandersnatch and the streaming network continues to be a game changer with the first interactive form of television storytelling. The modern version of “Choose Your Own Adventure” became an instant sensation with audiences repeatedly interacting with the program in an attempt to reach all of the outcomes. The exploration of free will is an easy contender for the Emmys but it doesn’t come without its fair share of critiques. As groundbreaking as interactive television content is the story itself wasn’t that engaging. Right now, Jordan Peele is the most exciting name in Hollywood. Us just crossed the hundred million mark at the box office and now he’s reviving the single greatest anthology series of all time with The Twilight Zone. CBS hasn’t made any official submission decisions yet and the new series could easily fit into the TV Movie or Limited Series race. Affecting the decision might be the newest set of rules going into effect. To be eligible a submission now has to at least have a runtime of 75 Minutes. The first two episodes of The Twilight Zone aren’t quite long enough so we’ll be keeping an eye on the rest of the season. Matthew Weiner finally returned to television with his newest series The Romanoffs. Spanning multiple continents the anthology depicts the lives of multiple people who believe they are the descendants of the Russian family. The Romanoffs was met with mixed reviews from critics but the two episodes currently being considered for submission were well received by critics and audiences and both feature previous Emmy nominees. Weiner reunited with Christina Hendricks for “House of Special Purpose” and Kathryn Hahn started in “End of the Line.” Until Amazon puts its weight behind a specific episode its hard to say what installment has the best odds but “House of Special Purpose” seems to be the best received episode. The most anticipated film in the TV movie category is the upcoming Deadwood film. The continuation of the popular western comes 13 years after the initial run of the show. Not much is known about the upcoming sequel besides that it takes place in 1889 as the residents of Deadwood reunite to celebrate South Dakota’s statehood. Sense8 only aired for two seasons on Netflix but it instantly came with a passionate cult following. Centered around eight strangers around the globe who wake up with a psychic connection the show is the latest (and possibly last?) project from the Wachowski Sisters. Sense8 never really became a major phenomenon and only received two Emmy nominations for main title theme music and cinematography. Still after it was suddenly cancelled there was a major outcry from fans and there were even rumors that Pornhub would save it. Netflix ended up making fans happy with a TV movie finale and it even went on to earn a PGA nomination. A year later will Emmy voters rally behind the cult underdog and give it a fare well nomination? No network has a monopoly on the category quite like HBO. Since it’s first nomination in 1989 the network has gone on to won the award 21 times with 73 nominations. The groundbreaking network has the opportunity to extend that record this year with a list of various films. My Dinner With Hervé premiered last fall and has its clear connection to the television industry focusing on the career of Fantasy Island star Hervé Villechaize. The film was generally well received by critics and was singled out at the guild awards for producing, writing, and sound editing. It’s definitely one of the more accessible stories for audiences as they go through their screeners and it gets an added boost from star Peter Dinklage but will it be forgotten after airing all the way back in the fall? O.G. stars Emmy winner Jeffrey Wright as a man about to be released from a maximum-security prison after 24 years. Wright won an acting award at last year’s Tribeca Film Festival for his performance as Louis. The film earned moderately good reviews but seemed to come and go back in February without much buzz. Depicting the story of a young Honduran refugee Icebox is the most politically relevant film in the conversation. If voters watch the HBO film that premiered last fall they are sure to be horrified by the dramatization of traumatized children locked in cages after hearing about it over the past year on the news. The big question is if it was a big enough project to catch the eyes of the television academy. Besides producer James L. Brooks the film doesn’t feature any well known names in front of or behind the camera and Icebox is writer-director Daniel Sawka’s first feature. Will HBO go out on a limb and put its weight behind a project like Icebox knowing the power it could have if given this larger platform? The other TV movie seemingly ripped from the headlines this year is the Benedict Cumberbatch starring vehicle Brexit. The film focuses on political strategist Dominic Cummings who led the controversial but successful campaign to leave the EU. The reactions to the film were divisive over in the UK so it will be interesting to see how American audiences react when it comes down to voting. Voters might watch and embrace the film, they might name-check it because of its relevancy, or they might be sick and tired of hearing about it in the news and want to stay clear of the topic. For the second year in a row HBO has picked up a major film from Sundance to premiere in time for the upcoming Emmys. This year they picked artist Rashid Johnson’s directorial debut Native Son. The film is a modern adaptation of the classic Richard Wright novel of the same name and is an incredibly complex look at race in America and a really interesting takedown of white liberalism. There are a lot of great performances in the film, especially newcomers Kiki Layne and Margaret Qually (who is also in contention for Fosse/Verdon). Native Son is beautifully designed and that can be accredited to Johnson’s history as a visual artist as well as cinematographer Matthew Libatique, fresh off of his Oscar nomination. However in terms of the plot something happens in the film that has the potential to completely turn off a lot of voters. 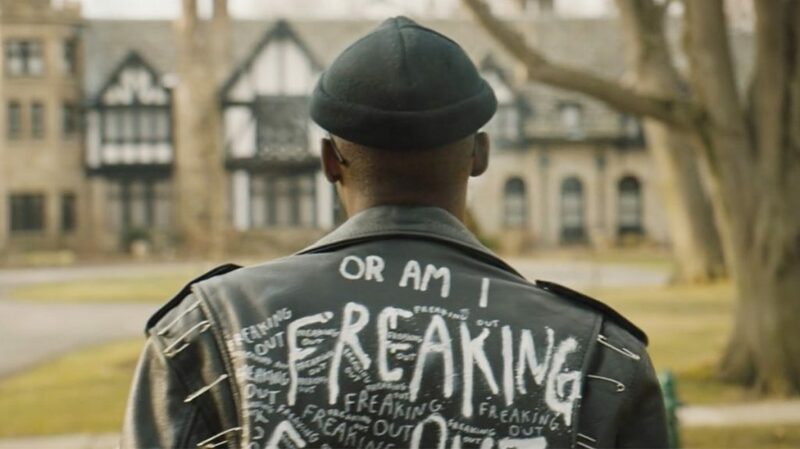 Emmy voters have engaged with difficult subject matter before so it will be interesting to see how they receive the film as well as its lead Ashton Sanders. In recent years theatrical adaptations have gone mostly unnoticed at the Emmys, particularly those from PBS and BBC. In 2018 Amazon Prime importer a modern BBC adaptation of King Lear starring Anthony Hopkins and Emma Thompson. It was met with strong reviews from critics as well as guild nominations from PGA, SAG, and it was singled out for its sound editing, makeup, and hairstyling. Is the guild support strong enough to help King Lear stand out to voters or are voters going to skip over it like they have been for other recent literary and theatrical adaptations?